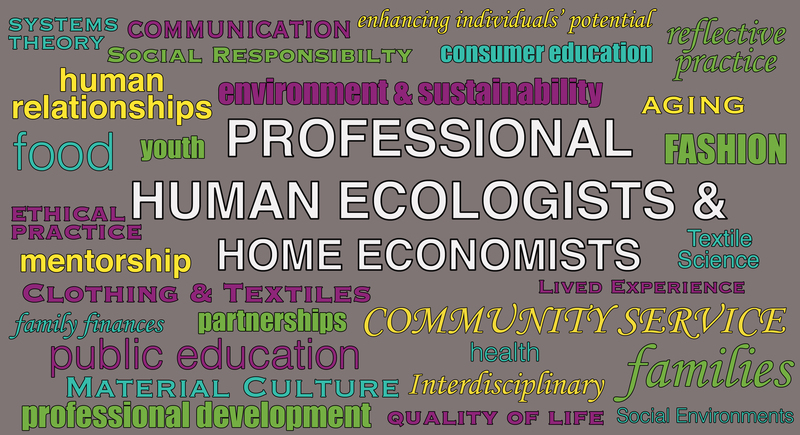 Alberta Human Ecology and Home Economics Association (AHEA), a self-regulating professional body, serves the interest of individuals, families, and the community, and that of its members, by promoting standards of excellence, professional development, and personal leadership in the practice of Human Ecology and Home Economics. Alberta Human Ecology and Home Economics Association (AHEA) strives to develop excellence and continued growth of professionals who are dedicated to enhance well-being and develop the potential of individuals, families, and the community. As an association we serve with these values as the foundation of our practice: integrity, excellence, and commitment for the betterment of individuals, families, and our community. Integrity includes honesty, ethical practice, and respect. Excellence includes professional growth, self-discipline, quality service, and critical reflective practice. Commitment includes social responsibility, accountability, empathy, and caring.